Gordon Sullivan is the joint owner of Mc & S Agri, New Holland main dealer for Cork City and surrounding areas, including a new branch in Bandon, covering West Cork. Mc & S Agri have been servicing the needs of the agricultural sector since 2009 with a vastly experienced and highly trained staff of 12. Between the two branches; Ballincollig and Bandon, and with their modern, high technically equipped workshop in Ballincollig. Gordon has a lot of experience and knowledge of the problems facing machinery owners and operators due to diesel contamination and quality and having used Actioil himself to solve problems he had we asked him recently about his experience with Actioil. Can you tell us a little about when and how you first came to use Actioil as a treatment for your diesel and machinery? How did you get on with the treatments? And the mobile tanker, did you treat that too? Do you have storage tanks? Did you consider treating these?? Did you? What did you find? 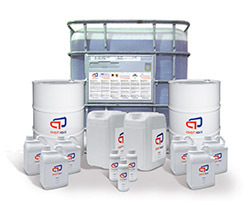 Do you use or offer Actioil as a solution to diesel issues in business too? Did you treat it with Actioil? Have you used Actioil in any other applications? Would it not be best to store the combine low in diesel, to empty the tanks over the winter? We would like to thank Gordan and all his team in MC&S Agri for taking the time to talk to us and allow us to publish his testimonial. Actioil is available in both the Cork & Bandon branches of MC&S Agri and to find out more about the benefits of Actioil, click here.